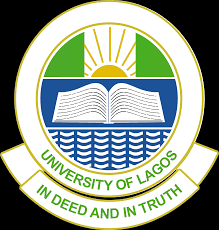 The University of Lagos, Consult Limited Internal and External Job Vacancies and Recruitment into the University Consultancy Services for March, 2018. The University of Lagos Consultancy Services is requesting applications from suitably qualified candidates for the following post in UNILAG CONSULT. Collect, identify and label samples. Take notes, record data, and organize documentation. Transfer data and results from notes and records to computer formats. Organize and maintain lab storage of samples, and specimens. Follow all health and safety regulations when handling laboratory specimens. Prepare equipment and work space. Prepare and maintain accurate laboratory records. Conduct laboratory tests, analyse, and categorise results. First degree / HND in Chemistry or Industrial Chemistry with a minimum of 2nd Class Lower division plus NYSC discharge certificate or evidence of exemption. Minimum of Two (2) years post NYSC experience as a lab assistant or relevant experience in a lab environment. Able and willing to maintain strict level of confidentiality regarding laboratory results and records. Candidates who meet the requirements above should forward their letters of application with copies of their CV to uc@unilagconsult.com.ng not later than Friday, 30th March, 2018.